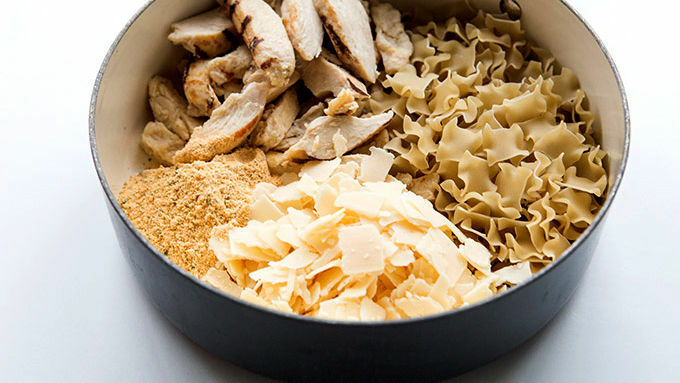 Place Suddenly Salad™ pasta and spice packet in a large pot with broth, half-and-half, Parmesan cheese and chicken strips. Cover and cook on stovetop over medium-high heat. Stir constantly, cooking for 12-15 minutes, or until pasta is tender. Stir in bacon. I really, really, really want to try to be a grownup here. Using big words and showing restraint. But, it’s bout to get nigh unto impossible. Because. 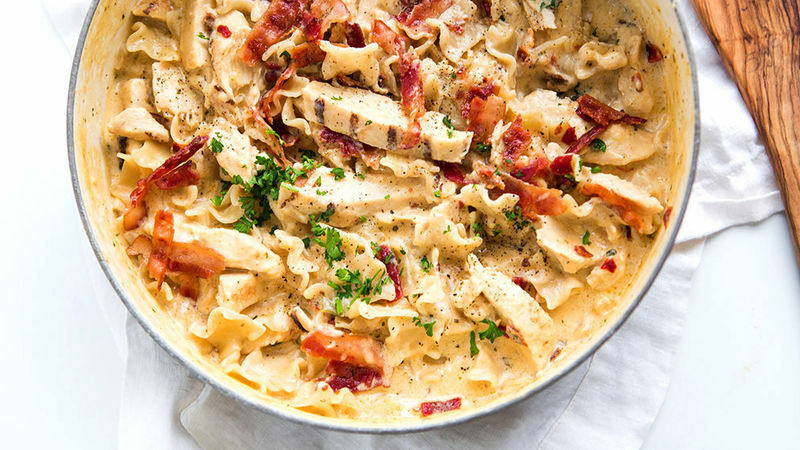 One-Pot-Chicken- Bacon Chipotle Alfredo is rocking my life. And it’s going to rock yours. This dinner is so good, it’ll make your face melt off. Literally. But not literally. 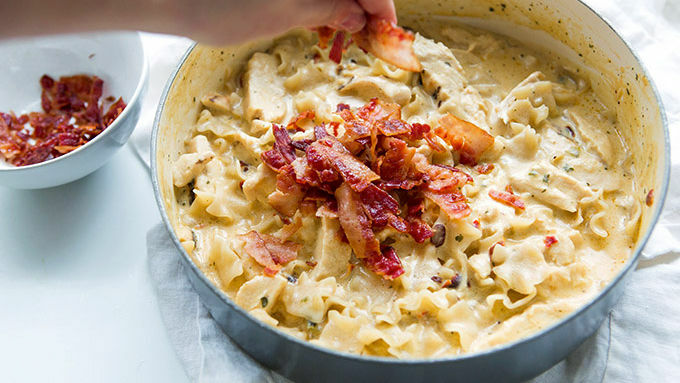 But literally.As with every one-pot recipe, the brilliance here is the ease. 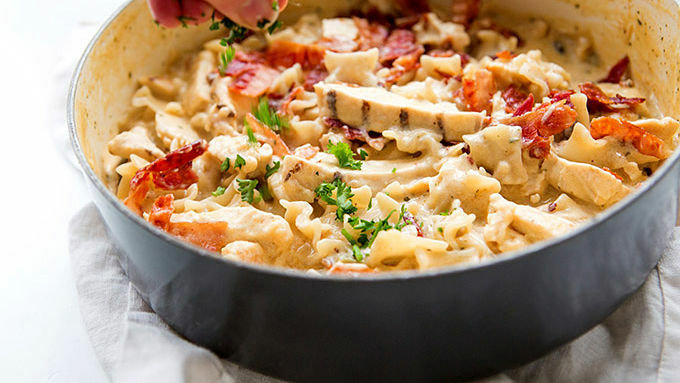 Pop everything in a pot. Boil. It’s time to eat. Squeal buckets of joy. The best dinner in the West. And East. Made in one pot. In 15 minutes or less. Literally. No, like actually. Literally. One Pot. 15 minutes or less. And dinner is yours for the dancing around. It’s totally what grownups do.